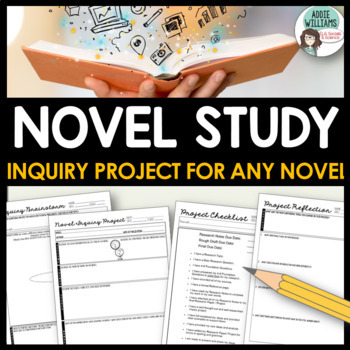 Dig deep into a novel study with this Inquiry Project that works with any novel! Encourage your students to think beyond the text and to explore the deeper ideas, topics and issues they discover while reading. 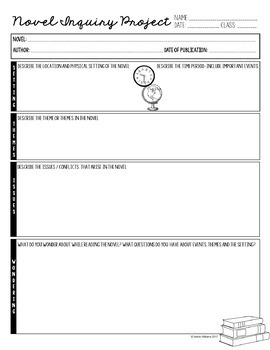 I've done this activity with a whole class novel and as part of an independent novel study. 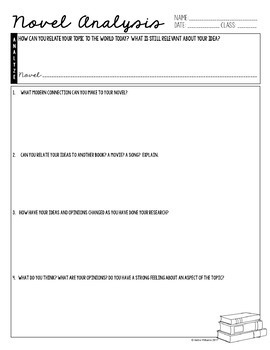 I've kept the final product ambiguous so that you can decide how best to allow students to demonstrate their learning. I've done everything from a research essay to an oral presentation or PowerPoint. There is a lot of flexibility in how you can use this activity in your classroom. 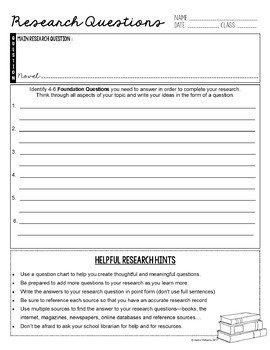 Includes 18 printable pages - use them all or just the ones that will work for you and your students. Everything you need to get started today is included.